It’s finally happening. 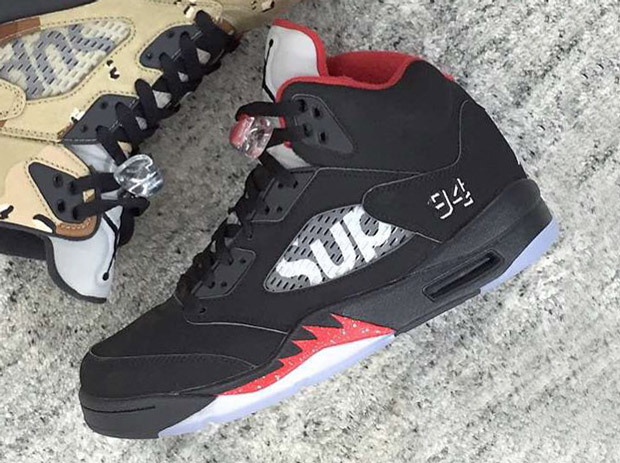 The Supreme x Jordan Brand collaboration will happen atop the Air Jordan 5 with three rumored colorways imprinting the ubiquitous skate shop’s emblem on the mesh netting. A ’94 PE branding rests on the heel in place of Mike’s number 23 in a nod to Supreme’s birth year. While the collaborative effort kicked off with a splash thanks to a Desert Camo colorway, this Bred aesthetic is definitely rooted in Jordan’s Chicago roots thanks to the traditional black upper, fire red shark teeth, and matching inner lining. The third pair is rumored to exude a Toro vibe, but we’ll have to wait and see. 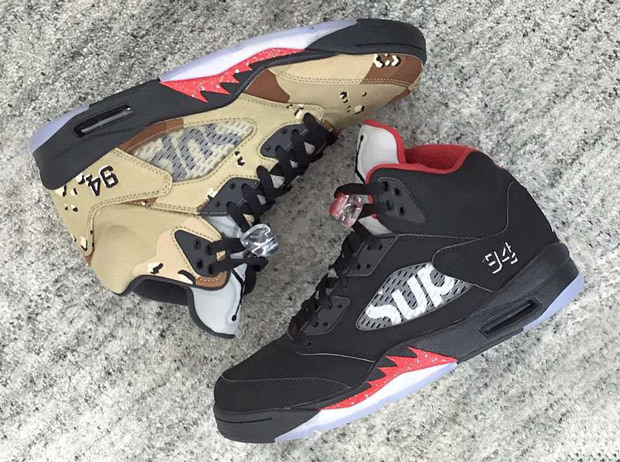 There’s no word yet on a release date, but be sure to check out the latest Supreme x Air Jordan 5 below and let us know which colorway you prefer in the comments section.